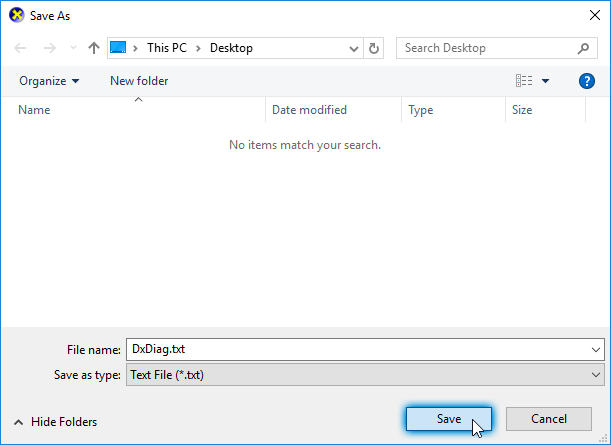 In some cases, the Technical Support staff will request you to generate a DxDiag file. 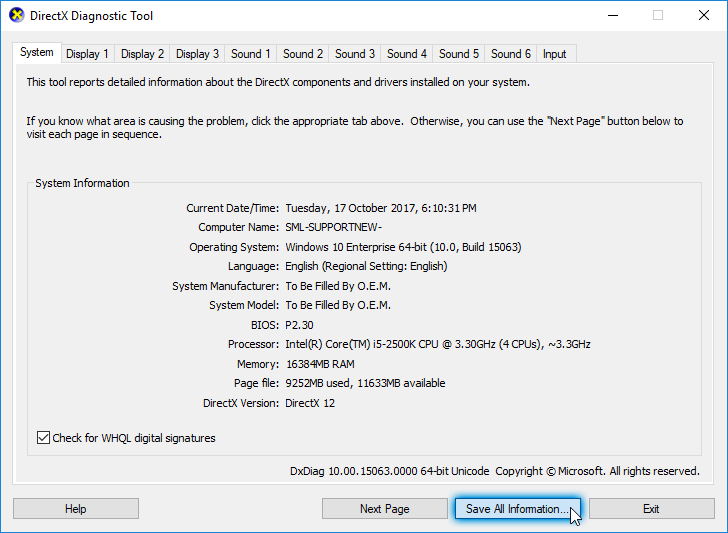 This file contains detailed information that the staff can use to diagnose and troubleshoot DirectX and video- or sound-related issues. 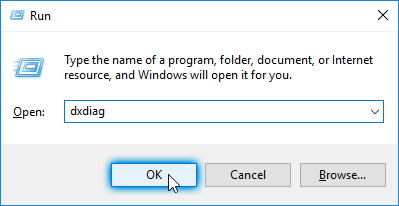 Go to Start > Run or ⊞ Windows Key + R.
On the Run prompt, type "dxdiag" then click OK. It's recommended that the folder and filename you choose can easily be remembered and accessible.